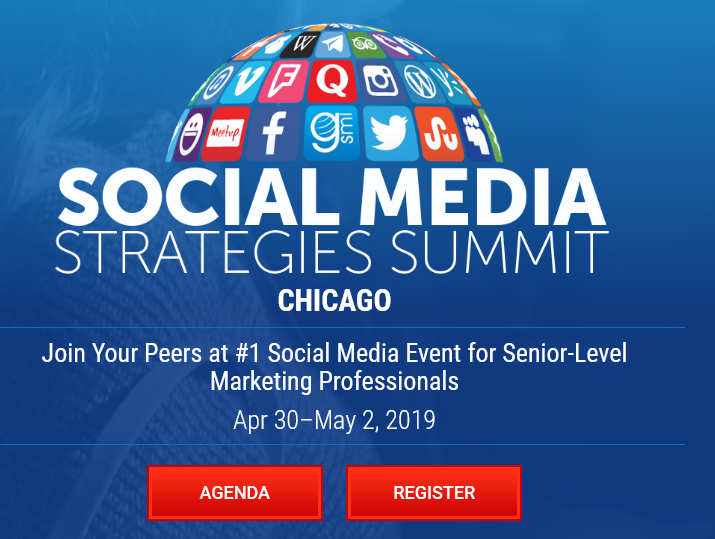 Social Media Strategies Summit Chicago 2019 in Chicago. Learn best practices in social media marketing from today’s top-performing brands (including: McDonald’s, American Express, Coca-Cola and LinkedIn). And many more expert speakers..